It’s a brisk morning in Dallas. 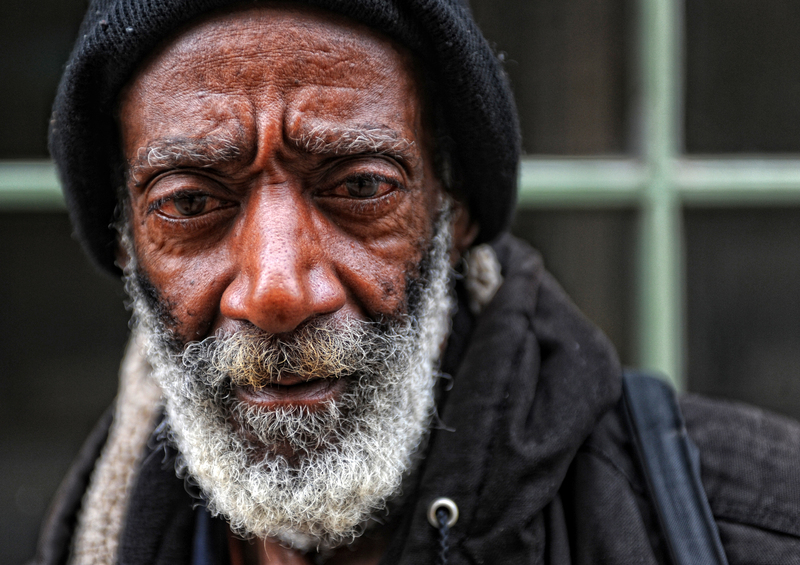 58 year old Curtis has lived on these streets for the past 12 years. Not a man of many words, his eyes tell me the his story. He is sad. 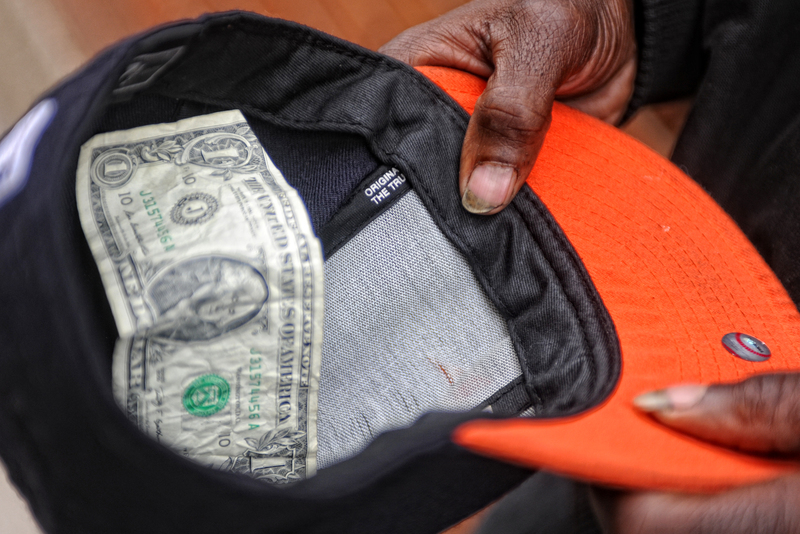 He holds his cap outwards with hopes of collecting some change for food for today. Just for today. 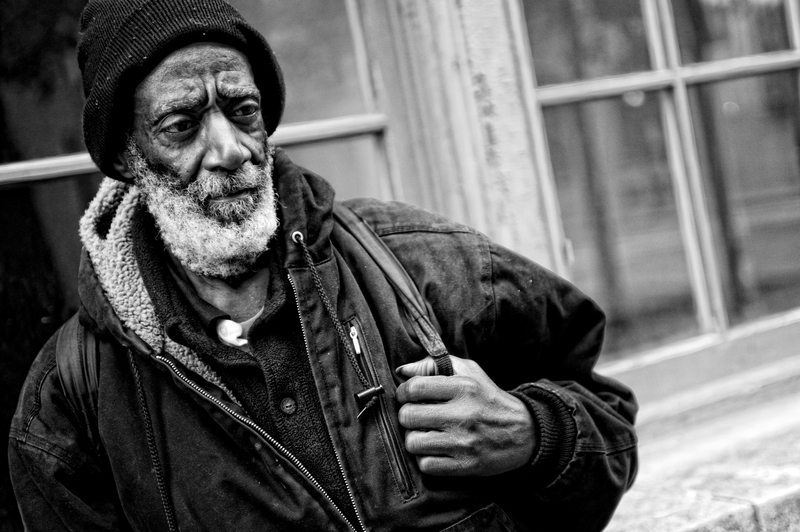 He tells me that as an older person on these streets, life is scary. He fears the young ones and the gangs. 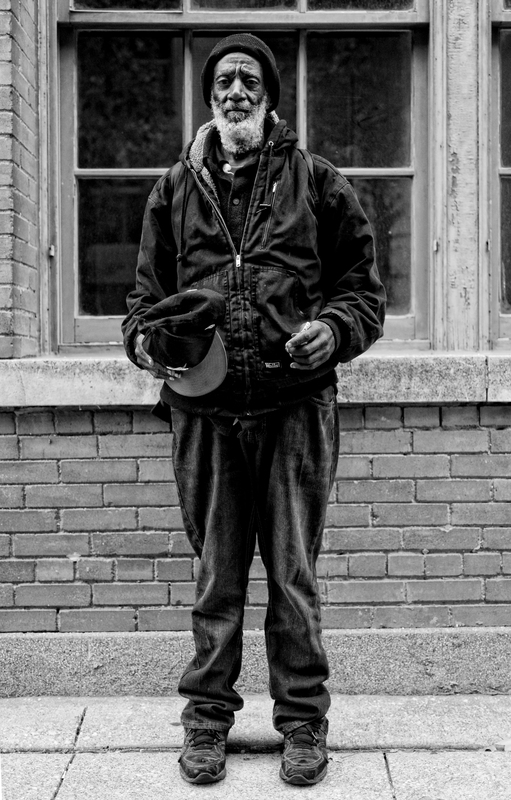 His needs are for everything he tells me, but foremost “I need to get off the streets”. “I wish that the kids of today would first, stay in school. They will get an education and then they can get jobs. It will give them a better life”. 10 Dec	This entry was published on December 10, 2014 at 12:26 pm. 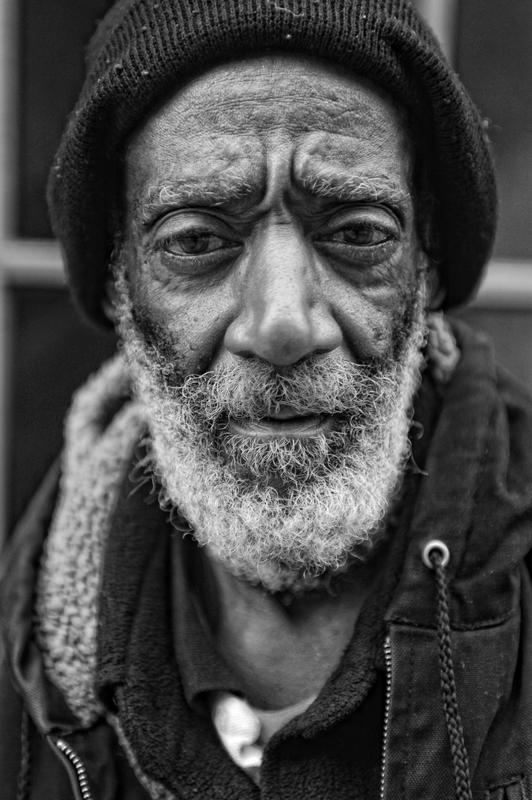 It’s filed under Uncategorized and tagged Black and White, Dallas, Food, God, Homeless, Hope, Life, Portrait. Bookmark the permalink. Follow any comments here with the RSS feed for this post.